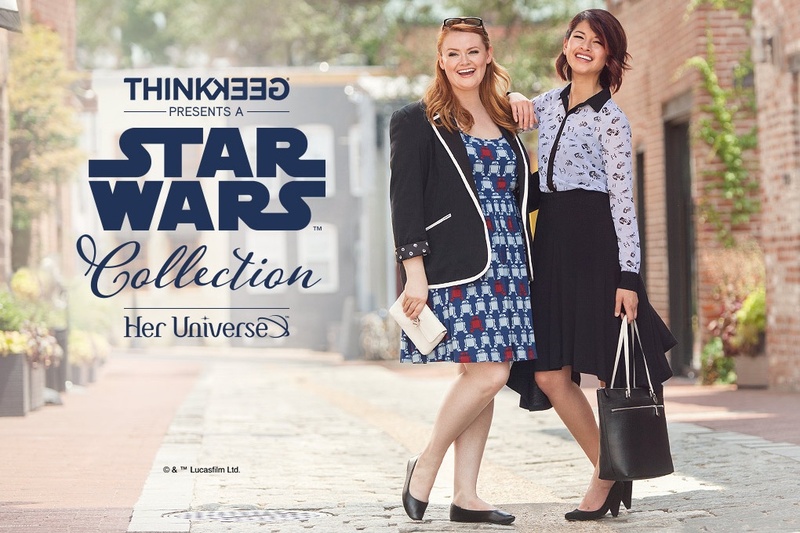 A fabulous new Her Universe x Star Wars fashion collection is now available exclusively at ThinkGeek! 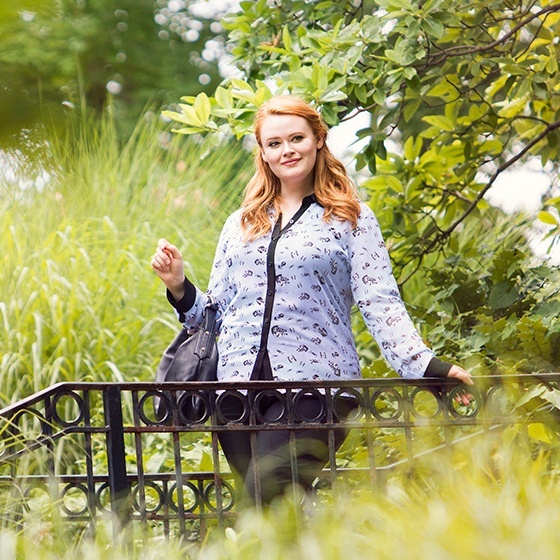 The new collection focuses on office style wear, for the woman who wants to wear stylish Star Wars fashion to work. 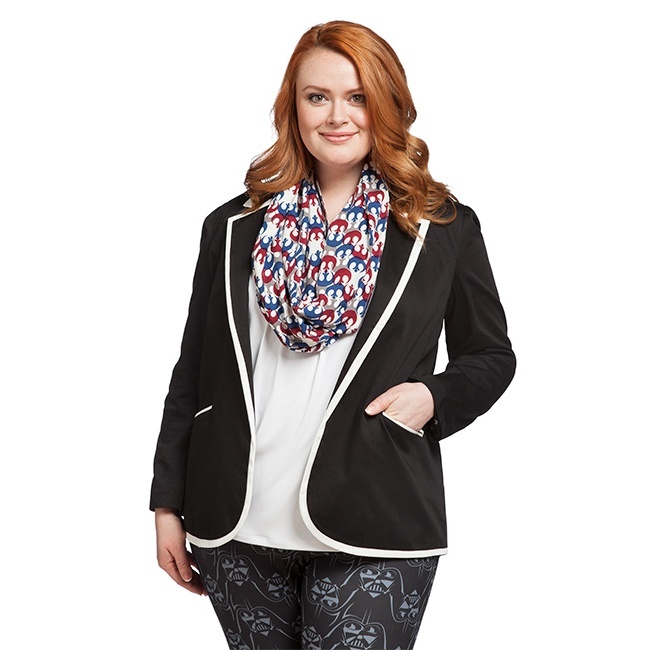 The collection includes 7 items – Star Wars symbols blazer, Star Wars starships blouse, Star Wars symbols collared tank tunic, R2-D2 print tunic blouse, R2-D2 print tank dress, Faces Of Vader leggings, and a Rebel Alliance symbol infinity scarf. Prices range from US$24.99 to US$59.99 each – ThinkGeek can ship internationally, which is great! We were fortunate enough to team up with Ashley Eckstein once again to make this collection a reality. 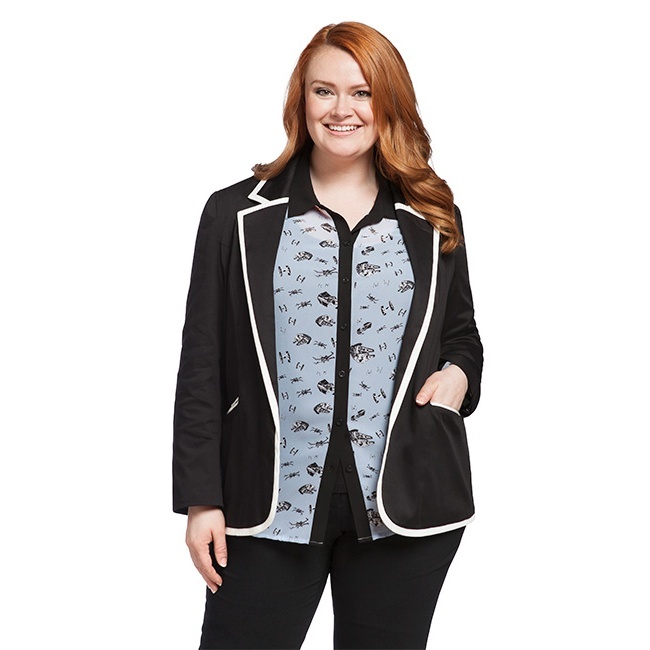 Our aim with these pieces was to give the Star Wars universe a fitting place in the work wardrobes of fangirls everywhere. 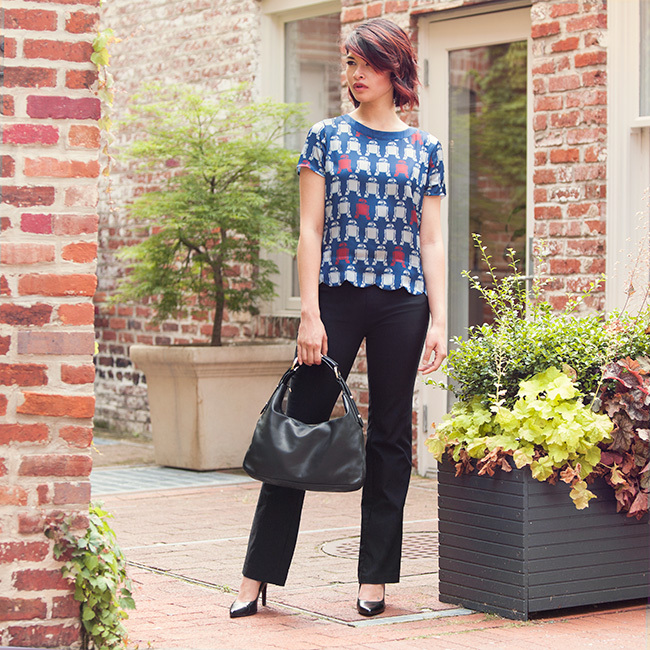 These looks are understated — appropriate attire for a data entry temp or a senator. Some fashion’s all about the brand logos. We choose to make ours Empire or Rebel. 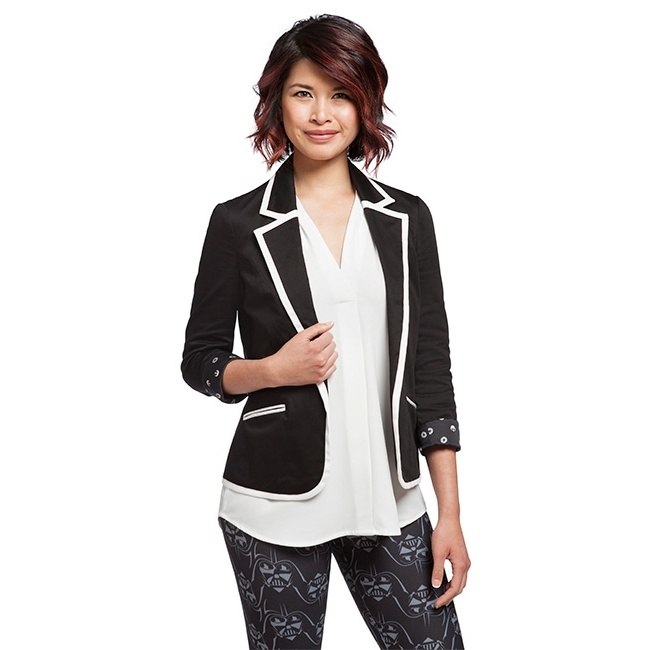 Amp up your next interview with this Star Wars Symbols Ladies’ Blazer. 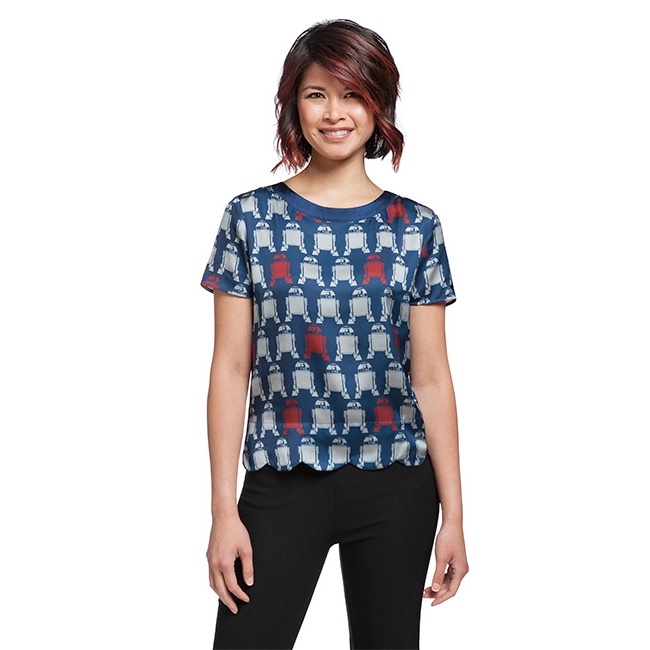 Part of the ThinkGeek Star Wars Collection by Her Universe, it’s available exclusively at ThinkGeek. 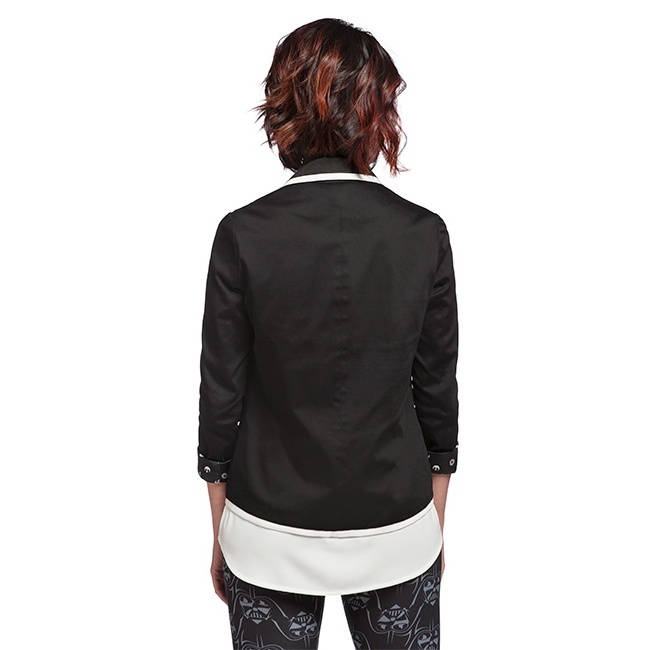 It features a notched lapel, jetted functional pockets, and princess seams in the front. 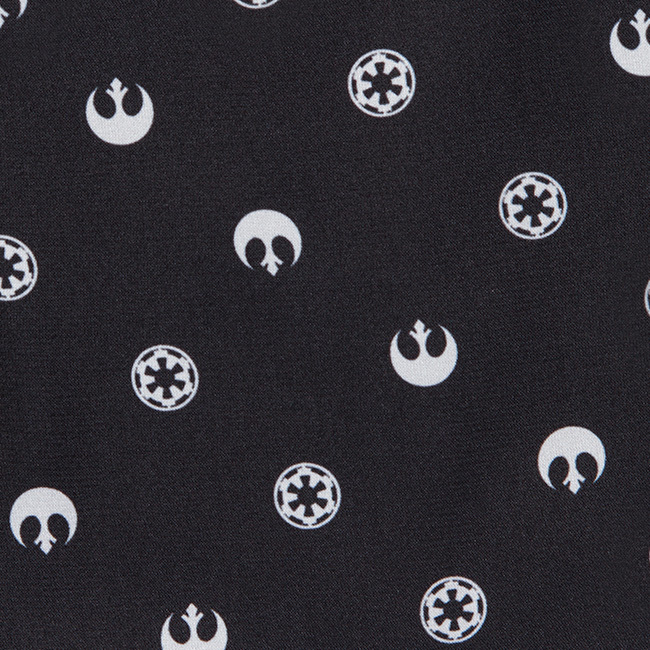 The lining print is a pattern made from Rebel Alliance and Imperial logos, and it peeks out if you roll the cuffs. 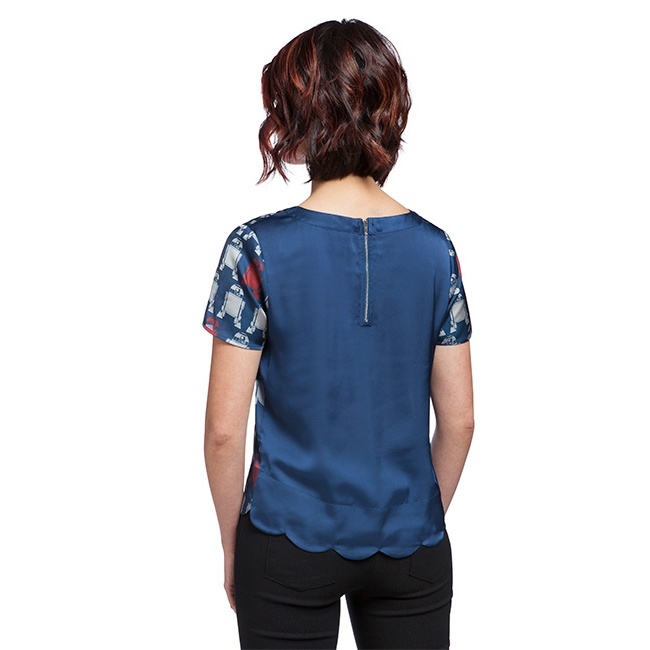 Feel like you’re walking into a Lucasfilm hangar bay with this Star Wars Ships Ladies’ Blouse. 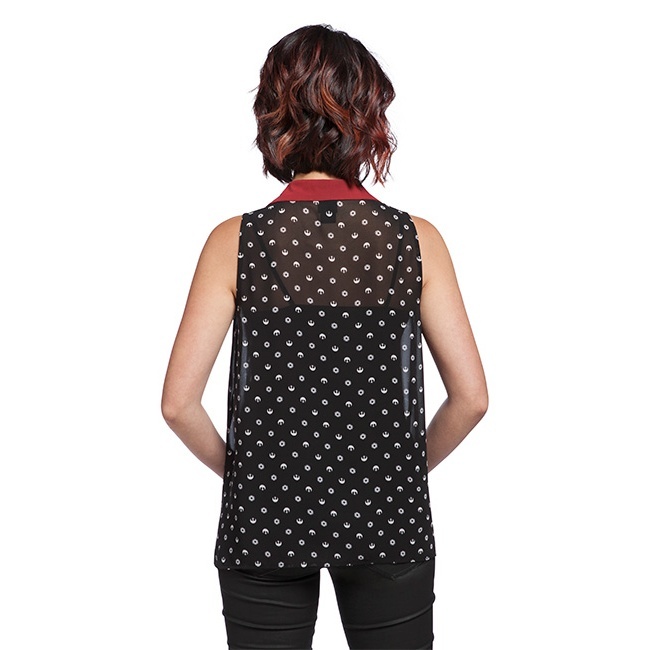 Part of the ThinkGeek Star Wars Collection by Her Universe, it’s available exclusively at ThinkGeek. 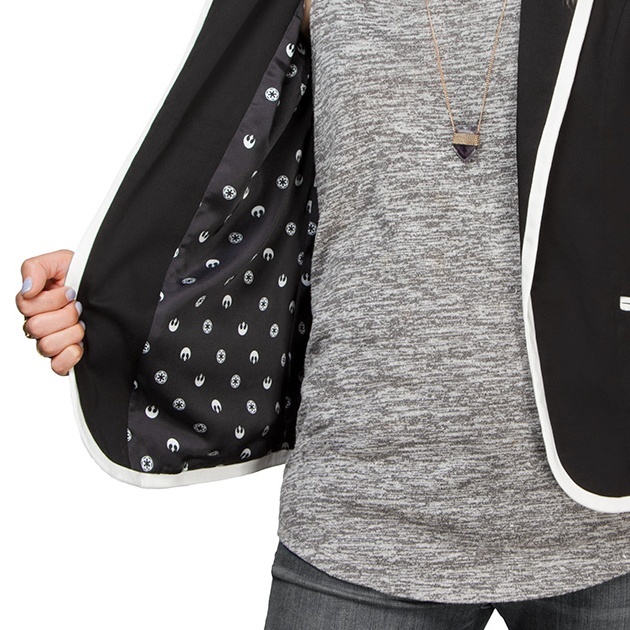 It’s fancy enough to wear to work or the theater or wherever you’re required to be less scruffy-lookin’. But it’s not too stuffy, made from a lightweight and breezy chiffon. Here at ThinkGeek, we think you shouldn’t have to choose. 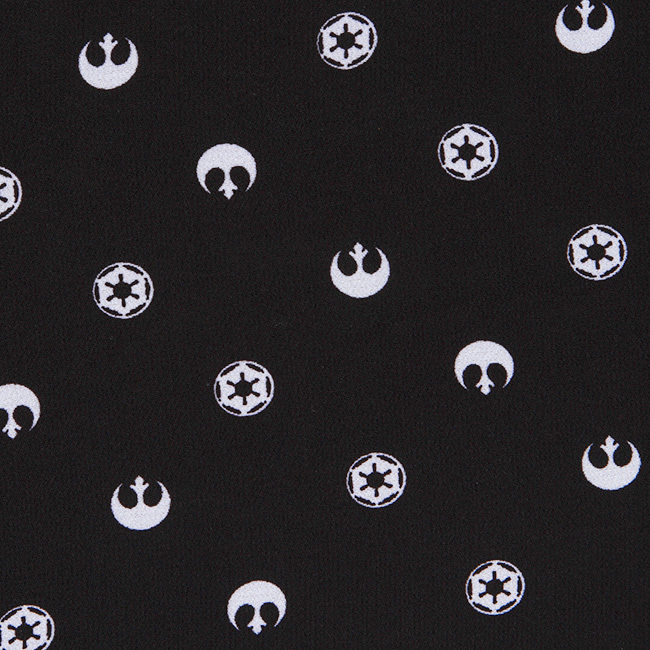 That’s why the Star Wars Symbols Collared Tank Tunic comes with an alternating pattern of both Rebel Alliance and Imperial logos. 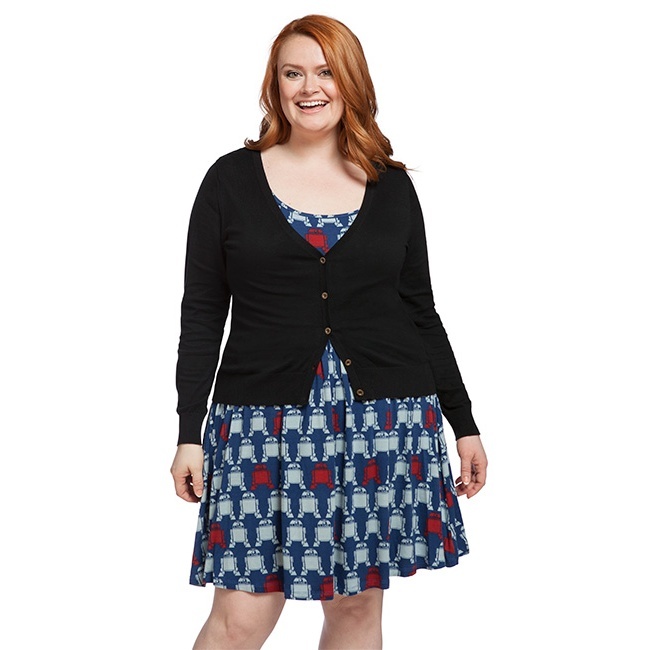 Part of the ThinkGeek Star Wars Collection by Her Universe, it’s available exclusively at ThinkGeek. 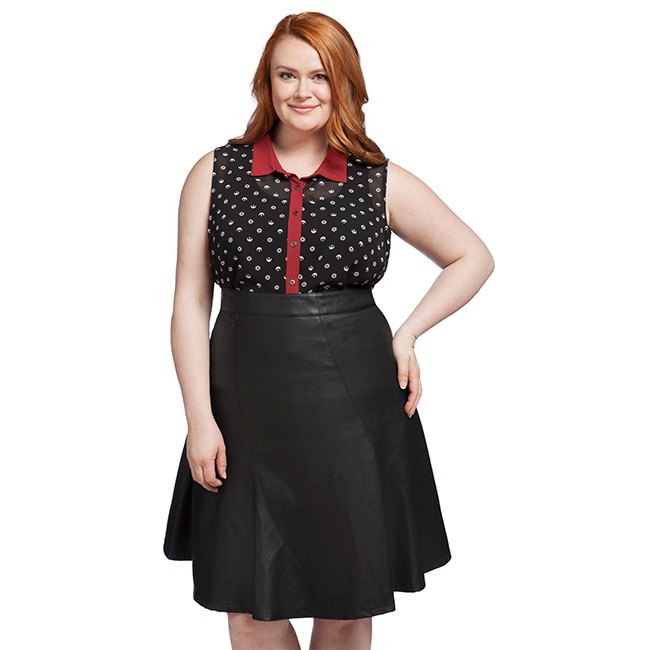 With long flared sides, metal buttons, and a contrasting collar and placket, it’s like chocolate and vanilla that you both eat at the ice cream shop and get to take home to stick in the freezer. Score. 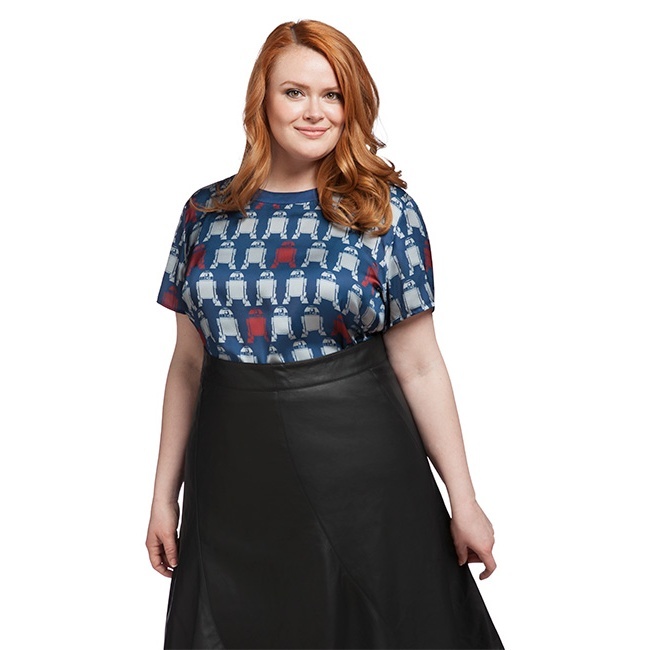 This R2-D2 Print Ladies’ Tunic Blouse is part of the ThinkGeek Star Wars Collection by Her Universe, available exclusively at ThinkGeek. 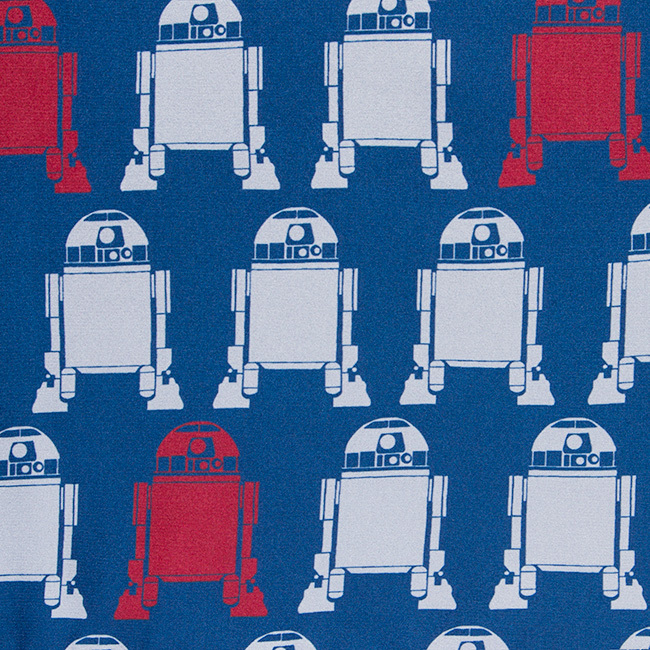 Created from a Artoo print fabric, it features a scalloped bottom, a round neck, and a navy blue translucent back. 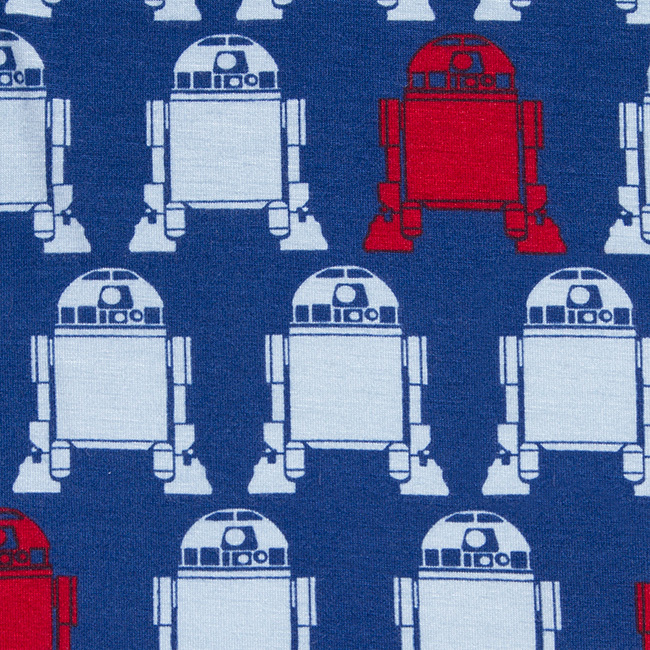 This super-comfortable stretchy tank dress features a print of R2-D2 in off-white and red on a blue background. 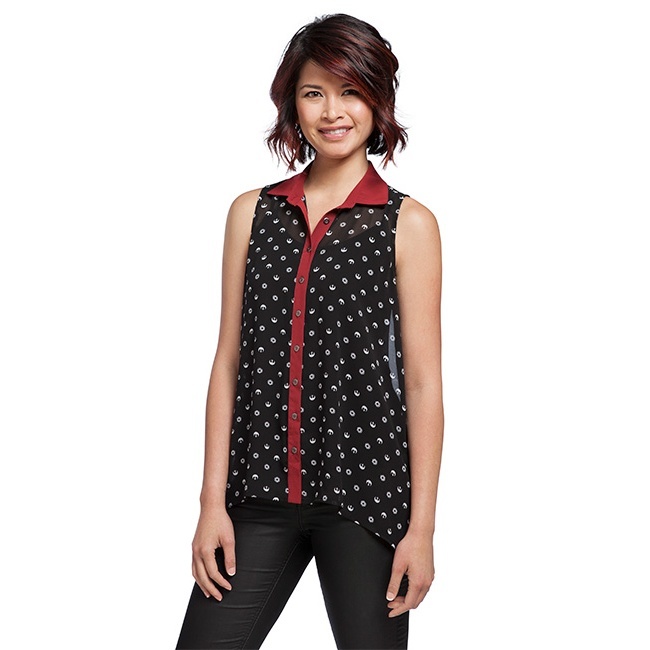 Part of the ThinkGeek Star Wars Collection by Her Universe, it’s available exclusively at ThinkGeek. It’s super versatile. Add a belt and some peep toe shoes to dress it up. Pair it with some flat sandals to head out to the grocery store or Tosche station to pick up some power converters. Whatever floats your landspeeder. 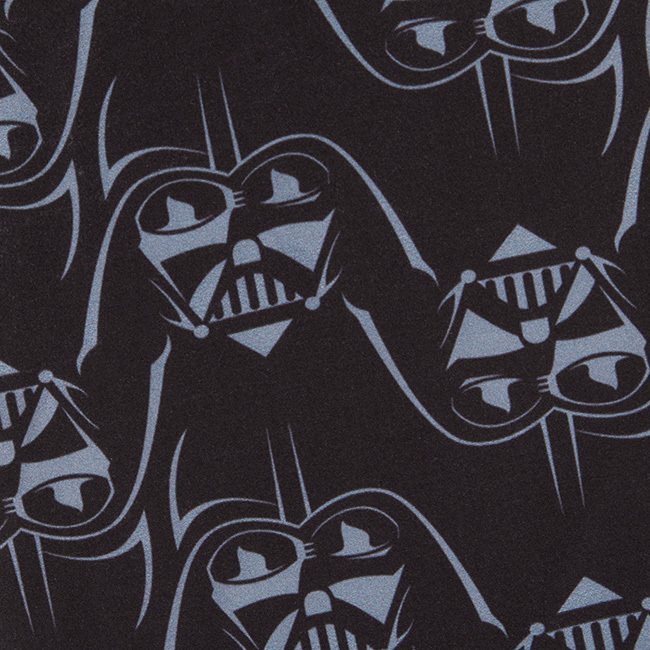 You may not know the power of the Dark Side, but when you walk down the street in these Darth Vader leggings, you’ll feel it. 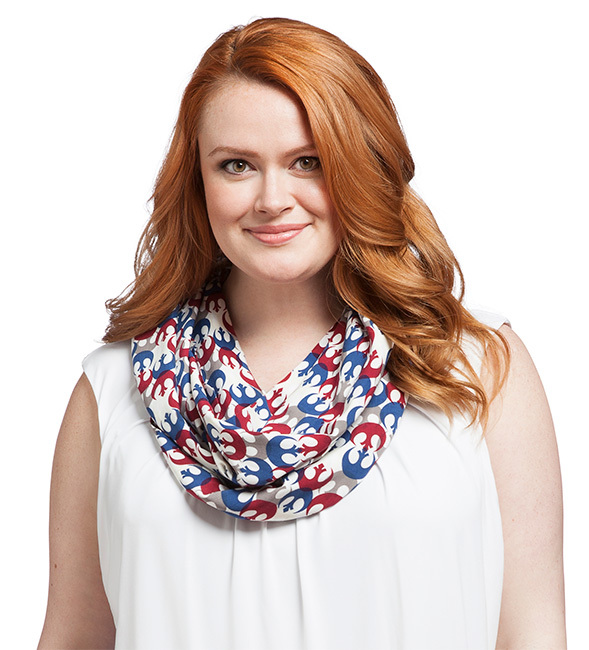 Part of the ThinkGeek Star Wars Collection by Her Universe, they’re available exclusively at ThinkGeek. 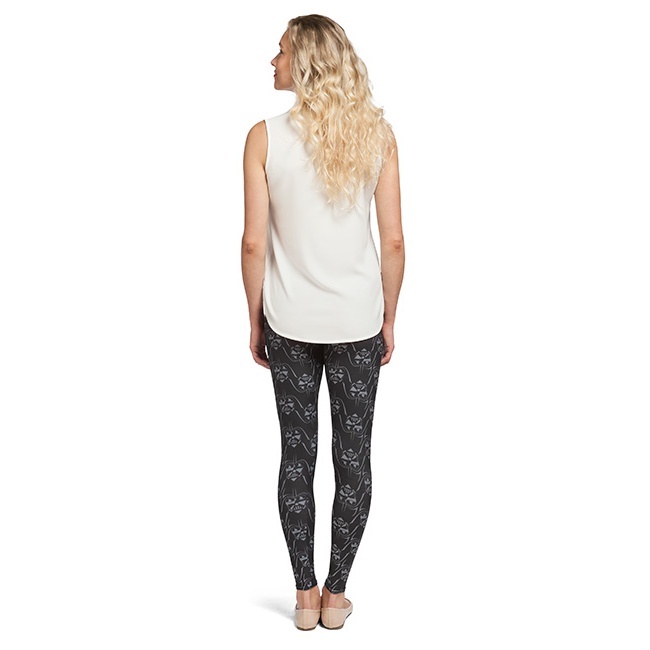 Paired with a crop or tunic top, they’re great for working out or heading down to the Death Star cantina for a drink. 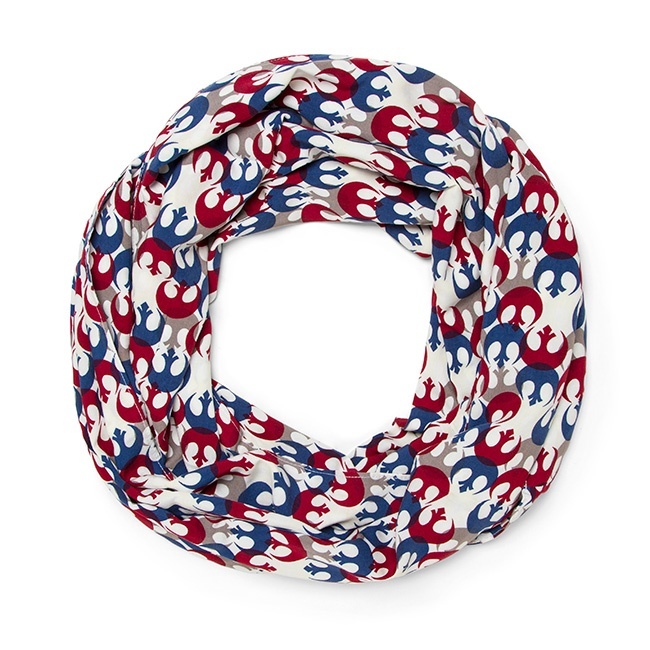 You can do exactly that with this Rebel Alliance Print Infinity Scarf. 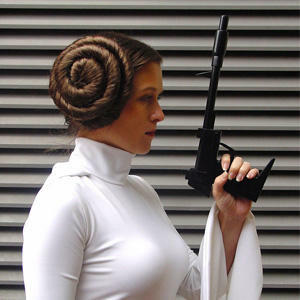 Part of the ThinkGeek Star Wars Collection by Her Universe, it’s available exclusively at ThinkGeek. 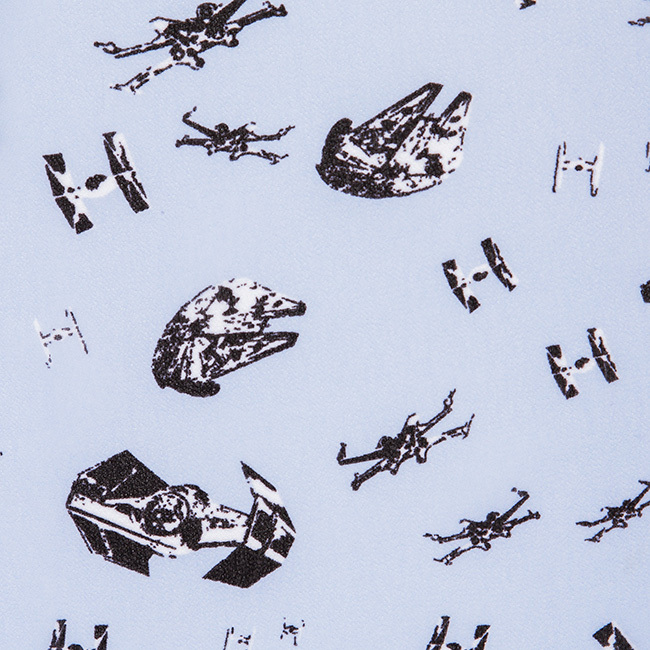 It features a print of blood red, midnight blue, and carbonite grey Rebel Alliance Starbirds. You know, the logo thing. 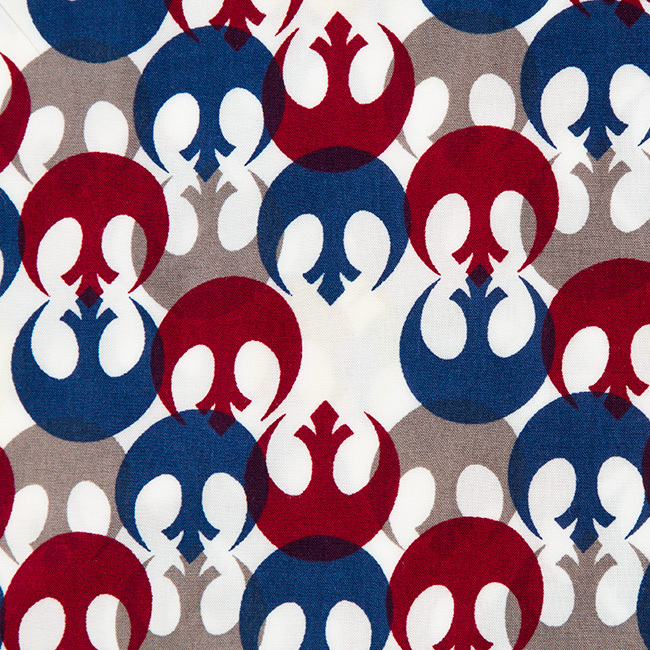 We just had to use its proper name because we love the term “Starbird.” Mmm. Starbird. 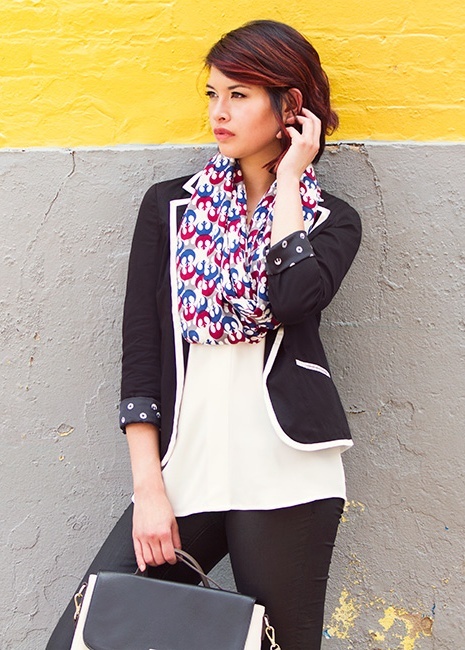 We’ll be over here, hunkered down in our scarf murmuring the word “Starbird,” thankyouverymuch.